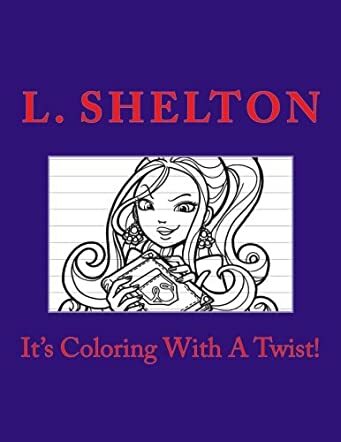 It's Coloring With A Twist: A Children's Book To Learn, Color, Play and Search, Volume 1 by Lakyshia L. Shelton is an educational coloring book that makes learning fun and interesting. The book has pictures for coloring and word searches that are helpful to young readers when it comes to learning new words and enhancing their vocabulary. The book makes children more creative, and helps them to be imaginative and be more observant about their surroundings when they are at home and when they are outside. The words searches pertaining to mathematics, fruits, Thanksgiving, and more are very useful to help children learn things associated with the words. The random word searches are equally helpful when it comes to thinking, playing, searching, and learning. The author's approach to a topic that is very common is innovative and unique and that makes the book exciting. Children learn a lot of new things by coloring and doing the crossword puzzles and word searches in a relaxed and enjoyable manner. It is a good book for using in classrooms and at homes to help children imagine, think, and be more creative. Children need more books like this while they are growing up to help them learn, understand, and be more observant. Tutors and educators can use this book for group activities in classrooms and it will be fun to watch youngsters using their own color choices and bringing life to the images in the book. Children, parents, and tutors will be eagerly waiting for the next volume.